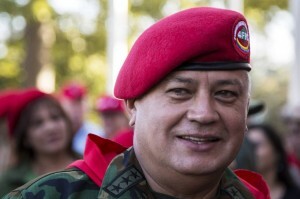 CARACAS - The Socialist leader Diosdado Cabello claimed that seven officers of the special forces of the United States Southern Command are in Aruba to prepare conspiratorial plans against stability and democratic order in Venezuela. Cabello warned of the destabilizing action program during his monologue, which was transmitted on Venezolana Television last Wednesday. “They entered with special equipment and interception of satellite equipment and reviewed all required infrastructure for quick military action to overthrow the constitutional government of President Nicolas Maduro,” said the revolutionary leader. Refining Center Paraguana, the world's largest refining center is the merger of three major refineries: Amuay, Cardon and Bajo Grande, with a refining capacity of 940 million barrels, says the website of Petroleos de Venezuela (PdVSA). In October last year, President of the Republic, Nicolas Maduro, said the head of US Southern Command, John Kelly, had prepared a plan of intervention under the guise of a “humanitarian crisis” in the country.